Raleigh is known for a wide variety of different things, such as the universities, technology, restaurants, and scholarly institutions. However, new attractions and expansions continue to steadily appear, making Raleigh quickly transform into an exciting metropolis. While the City of Oaks may be becoming a little more hectic, it still has a modern yet “small town” feel that we all know and love. Although there are several activities that will catch your attention, we have three summer activities near the Farmers Market (in no particular order) that you shouldn’t miss this summer! For over ten years, Market Imports has been the main provider of garden and home merchandise at Raleigh’s Farmers Market. Ever since 2007, we import the best home and garden accessories including imported furniture, glazed pottery, and unique water fountains. Market Imports is a Farmers Market “must” for the local designer and homeowner. It’s very difficult to not find something for your garden or home. And with the Market’s wholesale buying we can provide tremendous savings for you and your family. One of the coolest, family-friendly places in Raleigh is Pullen Park, and it’s only a stone’s throw away from the Farmers Market. In 1887, Raleigh philanthropist, Richard Stanhope Pullen, donated 80 acres of land to the city for use as a public park. Pullen Park has since become an important component of Raleigh city life, providing citizens with a variety of recreational opportunities including a historic carousel ride, a miniature train you can ride throughout the park, pedal boats to cruise around Lake Howell, tennis courts, baseball and softball fields, and an arts center on-site, Theatre in The Park. And the best part? Admission is completely free! In addition to several swing sets, sand areas, and other various playground equipment for children of all ages, the park also contains covered and uncovered picnic areas, many picturesque paths and bridges, and an adjacent Aquatic Center. The Aquatic Center and the Arts Center both offer classes to all ages in fitness, swimming, and art (pottery, jewelry making, weaving, glass art, etc. ); and plays are performed on a regular basis in the internationally acclaimed Theatre in the Park. Work up an Appetite and Come Eat at NC Seafood! After playing and enjoying the many offerings in and around the NC Farmers Market, come enjoy a hot plate of our well-known, tasty calabash style seafood. 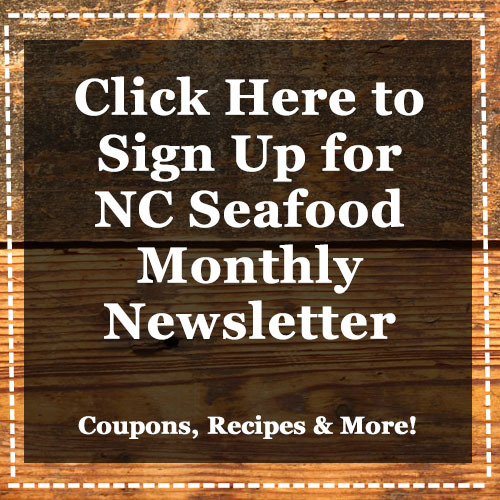 NC Seafood is much more than just scrumptious food. We’re local, and we’re passionate about supporting local businesses. Plus, we’re good neighbors, too. We want to recognize and invest in our local community with the chance to provide a restaurant with owners and staff that honestly care for the Raleigh, NC area. Without the enthusiasm and backing of our loyal customers, this wouldn’t be likely. So, what are you waiting for? Plan a weekend of local fun around the Farmers Market and stop in for a scrumptious seafood plate with us!